Today, we are thrilled to host a stop on the blog tour for Michelle Harrison’s newest book, fantasy middle grade novel One Wish, a prequel to her fantabulous 13 Treasures Series. Here to share a poem about Spinney Wicket, the novel’s setting, please give a warm welcome to Michelle Harrison! A seaside full of golden sand and air that smells like brine. With seagulls pecking fish and chips that’s fallen on the floor. And further up the street you’ll find the town’s old water well. Climb the tallest towers to gaze out on sky and cloud. There’s stuff you never dreamed of here that I’m about to share. There’s magic in this town, you see, although it’s hard to tell. With ghosts that lost their way and rival witches most aggressive. And seasons there are jumbled up rather confusingly. For everyone who has a wish they’d like to see fulfilled. That’s right! You heard me, make a wish! It surely will come true! You see that grand old elder there? It’s called the Wishing Tree. It speaks in rhyme, sleeps half the time, and by the way . . . it’s me! When farmers tried to cut me down – it gave me such a fright! And promised if they spared me I would see their wishes granted. But word soon spread and people still bring wishes every day! In jars and bottles dancing on the air below the sky. To most my voice is little more than branches as they creak. There’s not much point when most of what I say will go unheard! 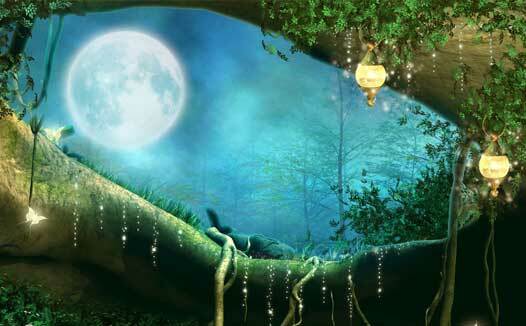 The power to see fairies, elves, and other things (like sprites). As well as all the jars and bottles swaying in the breeze. Your wish, once made, will soon come true – and all because of me! Michelle Harrison is a full-time writer. She is a former bookseller and editorial assistant. Originally from Grays in Essex, she has a degree in illustration, and lives in Oxfordshire with her partner. 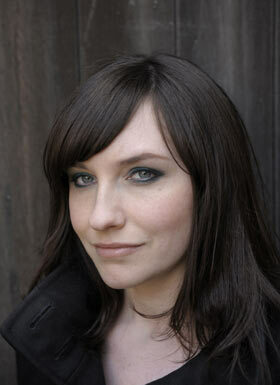 Her debut novel THE THIRTEEN TREASURES won the Waterstones Children’s Book Prize in 2009. She has since published two sequels, THE THIRTEEN CURSES and THE THIRTEEN SECRETS, as well as her teen novel UNREST. See more here. 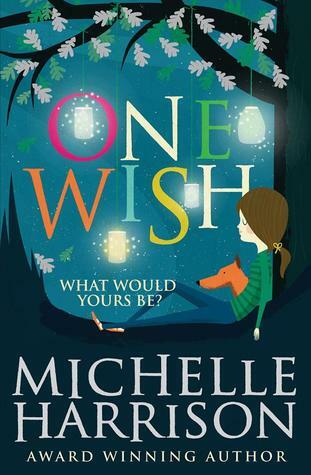 To celebrate the publication of Michelle Harrison’s magical new novel, One Wish, Simon & Schuster Children’s has set up its very own fairy quest. To be in with a chance of winning a Thirteen Treasures goodie bag, all you have to do is visit each of the five blogs in the banner above over the course of this week. If the answers each day were Red, Oak, Whisper, Apple and Night, the final answer would be ROWAN. When you have the name of the character, please send your answer to childrensbooks@simonandschuster.co.uk with the subject header FAIRY QUEST. Entries will close at midnight on Wednesday 11th June. What would you climb to gaze out on sky and cloud?